The Smart Visu Server is the optimum solution to visualise a KNX installation both quickly and cost-effectively. The compact device for wall or rail mounting certainly packs a punch: simply launch the integrated commissioning interface SV Control via the web browser and create the visualisation following an intuitive process. The operation is carried out via the clearly structured user interface Smart Visu Home, whereby the user can carry out own settings or actions. 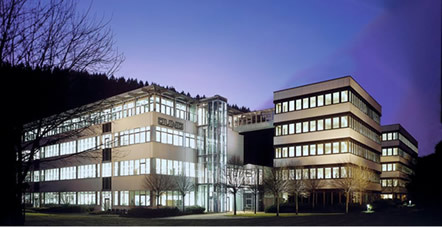 The device has been conceived for mobile control via smart devices – independently of the operating system – and thus provides an added plus in terms of convenience and flexibility. 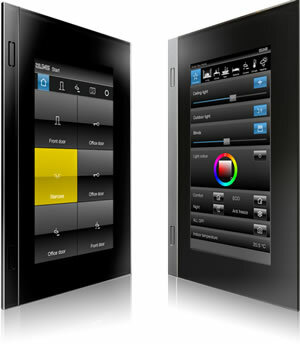 As a control panel, the new Smart Control 7″ takes over the control of various home automation systems using apps. 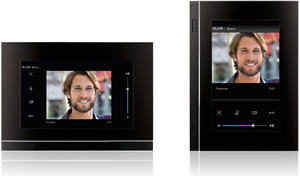 Both eNet and KNX installations as well as door intercom functions can be operated via a single device (in connection with the Siedle Smart Gateway) – either separately or in parallel. Thanks to the JUNG Launcher, all the available applications are clearly displayed and can be launched simply by touching the relevant icon. 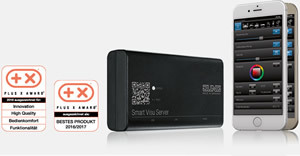 Due to the open operating system, the Smart Control 7″ can also be extended by further apps at any time. New room controller for the KNX F 50 family: the KNX compact room controller appeals by intuitive operation and two built-in temperature controllers. The backlit LCD clearly shows the most important values and functions, irrespective of the viewing angle. Depending on the respective functions, the button icons shown on the display may be individually selected during programming. Buttons labelled by means of the Graphic Tool further assist the user in assigning functions; the same applies to the RGB status LEDs. 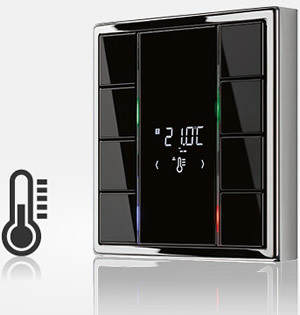 Push-button sensor or controller functions may be assigned to each of the room controller.